Jim and I are active, very active, attending many live theater productions, concerts, lectures and movies. We play golf and exercise. We even went to an NHL playoff game (Go Lightening! )…..you get the picture….”crazy active”. As I began telling friends that we were going on a picnic, they seemed surprised, with not a soul thinking a picnic was any big deal. Personally, it was a big deal. I believe picnics are grossly under-rated. There is something very “exciting” about the idea of a simple picnic. Myakka Park is one of the oldest and largest of the Florida state parks. It is 58 square miles of calm, 58 square miles of quiet wildlife, beautiful trees, and romantic trails. Make no mistake, the Park belongs to the alligators, birds, and other wild life who live there. We were mere guests, catching a glimpse of how the “residents” of the Park live. The environment is ever so quiet, interrupted only occasionally by the mating sound of an alligator or the call of a loon. Binoculars in hand, we watched wildlife from a board walk over the Myakka River and from the top of a tall structure on Canopy trail. We saw alligators, Ibis, Wood Storks and turkey vultures, and many birds I had never heard. The inhabitants of the Park seem to lead a “picnic simple” life, hardly giving notice to any of us from outside their community. Jim and I walked for miles and did little talking. There was no need to talk, this was about the quiet and enjoying nature. We didn’t need to discuss the new business on Main Street, the construction project next door, or a movie we “really should see”. We didn’t review our calendars or discuss our poor golf round played day before. We just walked, observed and enjoyed our “picnic simple” day. “Picnic simple”, that was the allure for this day. We do not lead simple lives, but the picnic reminded me that life isn’t always about being on the go, about rushing from one event to another. Life is sometimes just about the simple, about getting in touch with our inner selves and the world around us. I need to train myself on picnic simple so it becomes a bigger part of my life. 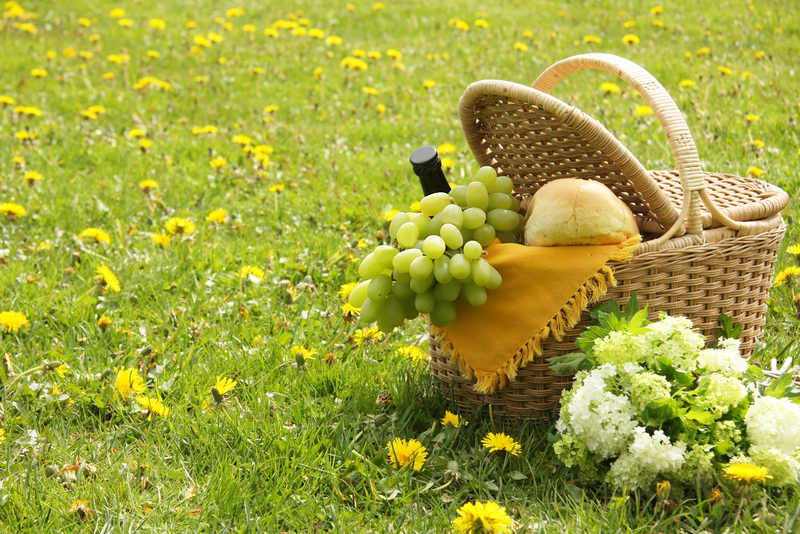 Women with high SUCCESSTROGEN know the value of simple and while their lives get hectic at times, they find “picnic simple” to unwind and get grounded in what’s most important. My younger life as a mom/business woman was hectic and far from picnic simple. Today, I have to make a conscious effort to kick back. Dialing it down, letting go of the need to always be in the thick of things, that is what I need and want to do–perhaps one of the most difficult habits I will have to break. I suspect you discovered “picnic simple” well before me, so good for you. But if you haven’t, please consider it, and by all means, begin with a drive out to Myakka Park. This entry was posted in Uncategorized and tagged calm, comfort, executive woman, extrepreneurial women, Happiness, Myakka Park, personal development, picnic, romance, simple aspect of life, simplicity, values, women. Bookmark the permalink. I loved this one……. sometimes I wish life was just that simple! !